Way back before we had children we loved to go to Sonny's. I loved their Brunswick Stew. 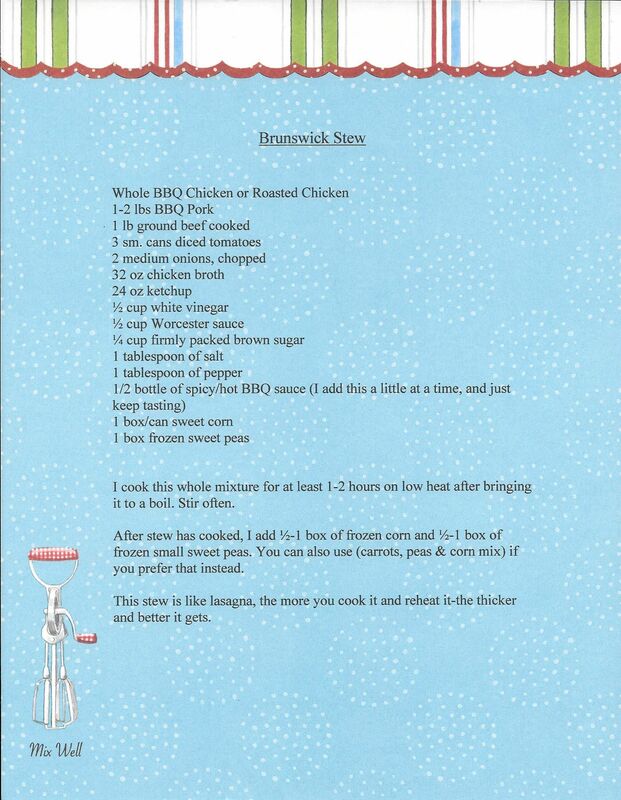 I have not had their Brunswick Stew in years, but this recipe really reminded me of Sonny's. My husband found the recipe here. Put all of the ingredients except for the peas and corn into a large pot. Bring to a boil and then cook on low for at least 1-2 hours. After the stew has cooked add in the peas and corns. (You can use carrots as well). Continue cooking the stew until the peas and corn are soft. 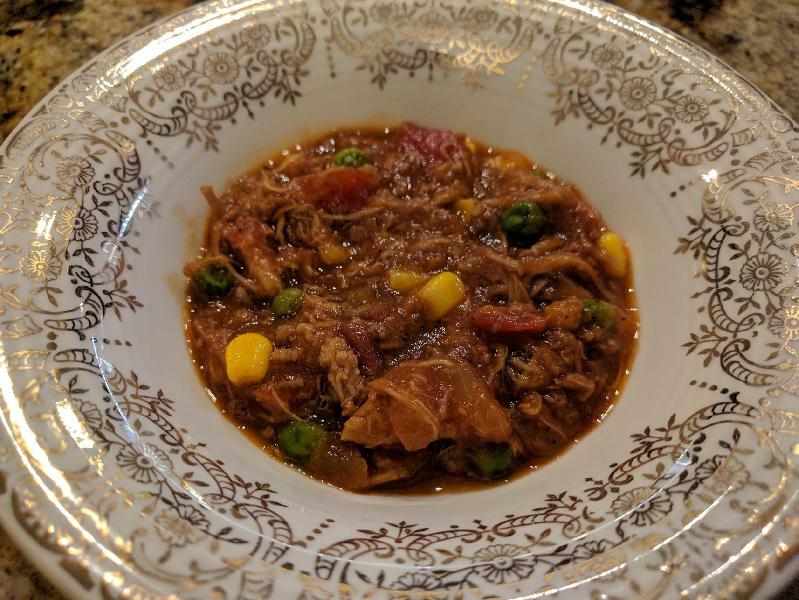 Description: A delicious stew, perfect for a cold evening.